This is a rectangular Penn Trump Motor Oil porcelain sign. This particular Penn Trump Motor Oil sign is red, black, and white. 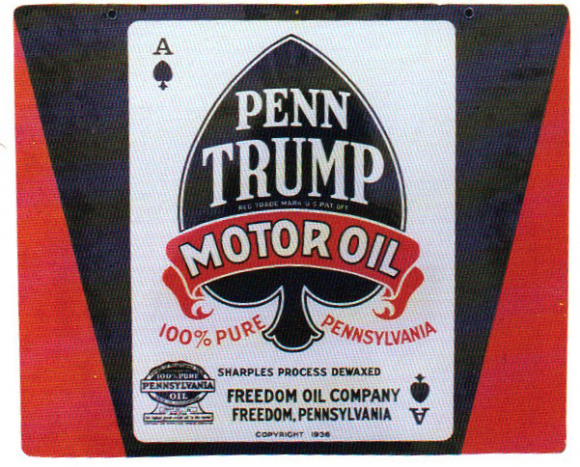 It reads, “Penn Trump Motor Oil, 100% Pure Pennsylvania, Sharples Process Dewaxed, Freedom Oil Company, Freedom, Pennsylvania, Copyright 1936” and features a white Ace of Spades playing card against a red and black background.